•Optimized structure of the brake caliper, and the position moves inside, more convenient for the maintenance. •Openable rotary oil tank features easy maintenance. •The hood adopts upturning side door, featuring large opening angle and easy access. •The oil return of the hydraulic oil tank features the independent chamber, ensuring convenience of the maintenance. · LW500F could operate with full load in mountainous region, muddy or narrow area. · LW500F features strong digging force and traction, and great shovelling capacity. It can deal with stong, wet sand and mineral powder freely. · Long bucket bottom, sharp bucket type, strong cut-in force, much material, power saving and high efficiency. 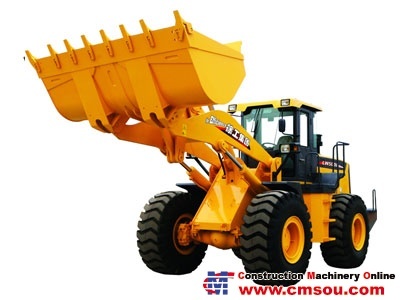 · Large digging force, strong gradeability, and meet the requirement of each condition.